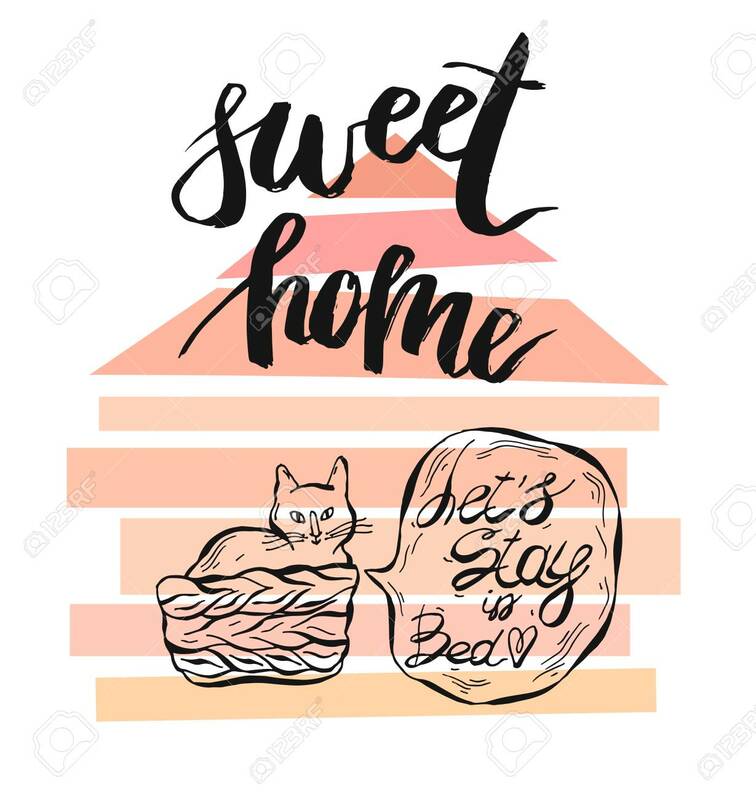 Hand Drawn Vector Card Template With Sweet Home Quote Handwritten Lettering,geometric House Shape And Cat With Speach Bubble Phase Lets Stay In Bed.Isolated On White Background.Home Decor Poster. Lizenzfrei Nutzbare Vektorgrafiken, Clip Arts, Illustrationen. Image 118409496. Standard-Bild - Hand drawn vector card template with sweet home quote handwritten lettering,geometric house shape and cat with speach bubble phase Lets stay in bed.Isolated on white background.Home decor poster.